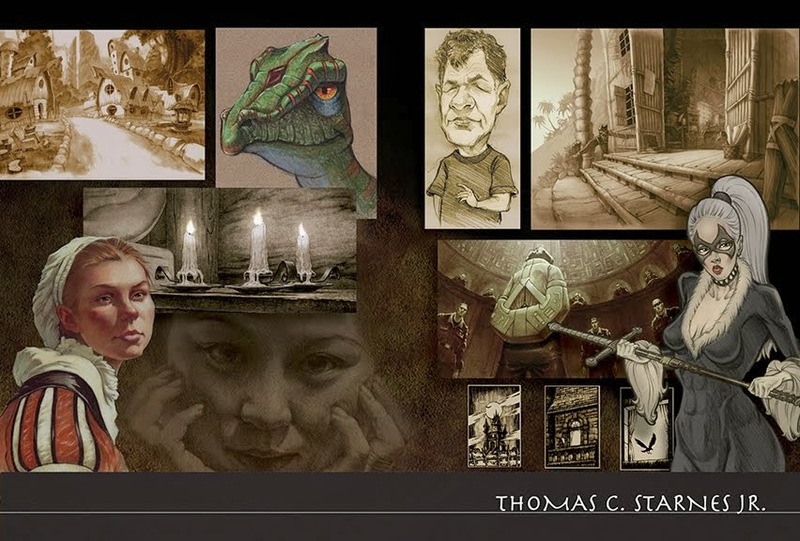 Upon graduating from the Academy of Art College (now Academy of Art University), Thomas' work was accepted into the student divisions of the New York Society of Illustrators, San Francisco Society of Illustrators, and the Society of Illustrators of Los Angeles shows, earning a number of awards and certificates of merit, including “Best Drawing from Life” in the Academy’s Annual Spring Show. Immediately after graduation, Thomas went to work for Walt Disney Feature Animation, drawing “in-betweens” on Disney’s Mulan. Over the years, he has worked in various phases of animation production (including character and effects animation, background layout/design and storyboards) for various companies, including DreamWorks SKG, Stan Lee Media, Rough Draft Studios, Acme Filmworks, and Starz Media/Film Roman. In addition to feature film and TV animation (which includes such popular productions as The Simpsons Movie, Futurama and King of the Hill), Thomas has done freelance concept design for video games and illustration for print and the web. Aside from commercial work, Thomas is passionate about classical painting and especially portraiture. In this vein, he has taken workshops with notable painters Daniel Greene and Burt Silverman, and studied painting under Craig Nelson, Bill Maughan, Hui-Han Lui, Zhaoming Wu, and later with Bill Perkins, and Ron Lemen. While in art school, Thomas studied drawing under such notable teachers as Barbara Bradley, Howard Brodie, and Chuck Pyle. Following art school, Thomas continued classical drawing and anatomical studies under Glenn Vilppu, Karl Gnass and Steve Houston, as well as illustrative drawing with Nathan Fowkes, and Glen Orbik. Thomas enjoys helping aspiring artists improve their drawing skills and develop their capacity to achieve their own creative vision.